A part of knowing how to export is knowing what a freight forwarder is and how they can help you with international shipping and logistics transportation, as at some point you’re very likely going to need to work with one. 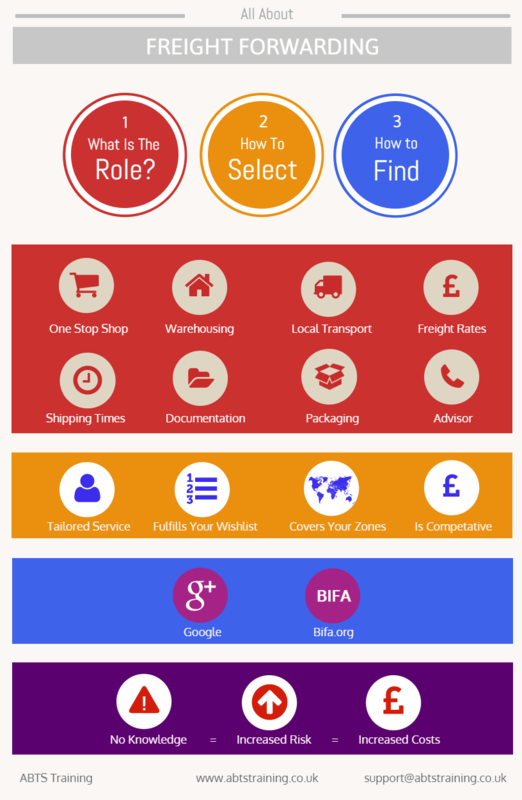 What is the role of a freight forwarder? How do I select a freight forwarder? I ran my own freight forwarding small business for many years so I’m well qualified to answer all three of these questions and I hope it will become clear to you what the advantages of using a freight forwarder are in your supply chain. So let’s dive straight in and answer the question, “what is a freight forwarder?”. When exporting, the most important thing to know is how to move your goods from the warehouse to your destination. Unfortunately, once your exports get to a certain size, it’s not as easy as going to the post office or Fed Ex, paying the fee and sending. Exporting larger loads is a multi-step process and that involves knowing how to find the most competitive freight rates, booking that freight for shipping, having to complete all the export documentation which can include an export entry, Certificate of Origin and Bill of Lading to name a few. Gaining the knowledge for this is wise, so that you can understand, manage and control every step of the process yourself and therefore know firsthand where problems may lie in your export process and fix them in order to constantly streamline that process and become as efficient as possible. ABTS Training offers an online import export training course that will do exactly that; help you streamline your export process and get your cargo shipment through customs clearance and to it’s final destination. However, if you don’t have the time to study as you’re juggling what may feel like a million things, there’s freight forwarding companies. A freight forwarder will take care of all these tasks for you and will likely offer other services such as export packing, warehousing and local transport. They become your adviser and hopefully someone you can trust. What Can I Ask A Freight Forwarder? When is the next ocean freight vessel operating to Shanghai? How much is it to ship a FCL to Shanghai? What is the air freight rate for 40 kilos to Hong Kong? A phone call or email to your freight forwarder may answer many of your questions and you’ll likely get some free advice as you only pay when they undertake an export consignment for you and send you the invoice. As you can see, the advantage of using a freight forwarder is they are a one stop shop and will take care of your international freight needs for you. But as you know, when there’s an advantage, there’s many times, a disadvantage. The big disadvantage of completely relying on a freight forwarder for all your international trade needs is that, like in any industry, some freight forwarders can take advantage of the fact that you have little or no knowledge of exporting and charge you accordingly, you didn’t think freight forwarders work for free did you? I stress only SOME, there’s bad eggs in every industry and the vast majority of forwarders are very professional and eager to help you. It goes without saying that a freight forwarder has to make a profit but that’s very different from ripping you off. My advice is, by all means use the services of a freight forwarder BUT understand export procedures yourself so you have a working knowledge of freight rate structures and the real cost of producing export documentation. Once you know these facts you can work successfully with your freight forwarder and be sure you’re not being taken advantage of and working towards a solid long-term, professional relationship. Not knowing your costs has real consequences. We had an exporter that joined our training course in order to gain the knowledge he needed to understand his export process from start to finish. Until then, he had given all his exports to a freight forwarder and had never known what questions to ask or what the real-world cost was of exporting his goods. He had worked so hard with suppliers, negotiated deals with them, found a market for his products, got the deals done to sell but at the last hurdle, he was taken advantage of. As he had little to zero knowledge of freight rates or customs brokers and blindly trusted his freight forwarder this particular forwarder could see his lack of knowledge and as a result charged £7.06 per Kilo while a commercial rate was £2.60 per kilo. This ended up costing him thousands in extra fees that he didn’t need to pay and would have obviously given him a much, much healthier profit margin had he had that knowledge. 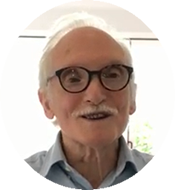 After completing our course, he fixed that problem and went on to build a very successful business. The point of this example is to emphasise that it’s very wise to have a working knowledge of exporting, not to insinuate that all freight forwarders will overcharge the innocent. As I mentioned, I was a successful freight forwarder for many years without overcharging my clients. All my colleagues in the freight forwarding business gave a good service for a fair price. Finding a freight forwarder is as easy as searching for one on Google. Finding one that’s going to work well for you, is slightly different. Follow this very simple rule: make sure that the freight forwarder can give you the service YOU require not what they WANT to give you. For example, if a freight forwarder is strong in sea and airfreight to South America and Australia and that they can offer you very competitive rates to these destinations but your market is the Middle East, this is not a well fitting partnership. This may sound obvious but many times I’ve seen savvy exporters use suppliers in one way or another that aren’t a good fit for them, just because a friend uses them or they have a good name in a certain area. Can you offer UK collection from my local suppliers (here name your suppliers address)? If so please quote. Can you offer competitive air freight rates from the UK to (your destination)? If so please quote up to 1000 kgs. Can you offer competitive rates FCL/LCL rates to (your destination)? If so please quote. (This is where a knowledge of Incoterms 2010 is needed). Please quote to prepare the following documentation: Bills of Lading, Certificates of Origin. Can you offer local warehousing and export packing? Please quote. Please name the contact person responsible for servicing my account. Please send me a copy of your trading terms and conditions. The above is just indicative of questions you should ask in order to get the service YOU require for your particular exports. This is an easy answer thanks to Google. Just type in “freight forwarding in (here mention you town or city)” and you will be swamped with local contacts. You can also check the BIFA or the International Freight Association website and they will supply you with a list of all Freight Forwarders who are members. If you want to go it alone or use the services of a freight forwarder, either way you need to understand the business of exporting so take the time to get yourself up to speed. You won’t regret it and it really will streamline your business and add to your profit margin. Hopefully our handy guide will help you. I setup up my own successful freight Forwarding business and eventually sold it after many years. There’s a wealth of knowledge that I accumulated in that time and I became aware of all the pitfalls and problems so can advise on the best way to not only setup a freight forwarding business but also how to run it efficiently and profitably. We will soon be launching a new online course detailing how to setup and run your freight forwarding business which will be a very personal course leading you through vital stages of setting up and running your business with the minimum financial outlay and achieving the the maximum profit. If you are interested please contact us and we will let you know when we launch.